The Mapping and Mobilising tool provides a framework to support organisations and cross-sector groups to map and better understand their current state and set key next steps. Co-design Capability: How well do we involve young people in our design and decision? Service Integration and Responsiveness: How well do services and groups work and learn together? Community Asset Building: How are our environments (community spaces, local government services and sites, policies, infrastructure) designed to show young people are valued and important? It’s designed for active conversations and analysis. It’s about building collective knowledge, motivation and pathways for change within a group. The tool draws on the COM-B behaviour change model from Michie et al (2011). This model says that to enable behaviour change in individuals and organisations Capability, Opportunity and Motivation must be addressed. 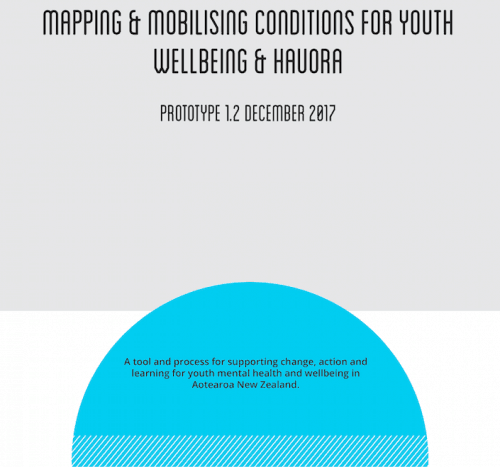 We have prototyped this tool with several groups around Aotearoa New Zealand. It’s still in prototype form, and we welcome any feedback. We would love to collect more data about how it is being used. The tool has a creative commons share alike licence. You can use and modify as you like, as long as you continue to share it. If you use the Tool, please contact Penny Hagen over at www.smallfire.co.nz to pass on any feedback!